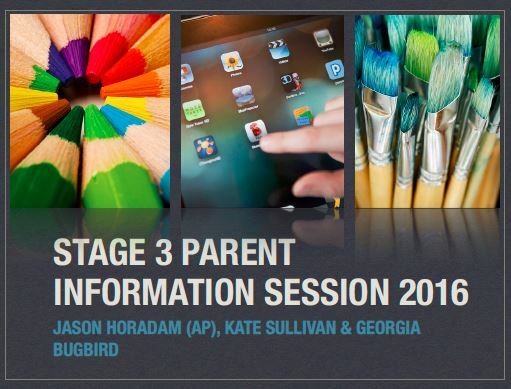 Thank you to the parents that were able to make our information session last night. If you were unable to attend, you may like to download the pdf of the presentation slides below. Parent Night 2016.